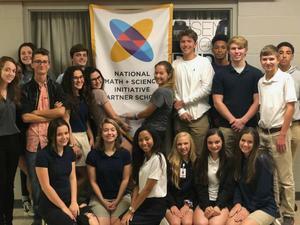 This year, Beau Chene High School entered a partnership with the National Math and Science Initiative. This program provides students and teachers training to increase student enrollment and student success in challenging courses like Advanced Placement Science, Math and the Language Arts. The courses offered are essential to equip our students with the problem solving, critical thinking and collaborative skills the will need to be successful in a world that is becoming more and more competitive. Students today are expected to possess these skills regardless of the path they choose which might be post-secondary education or job training. Currently, Beau Chene offers AP Statistics, AP English, AP Biology, AP Chemistry, AP Environmental Science and AP American History to our students for college credit. Next year, we are exploring the possibility of including AP Calculus and AP Physics in addition to our already rigorous curriculum.